In the early 1930s the German Army needed a tank that could be built cheaply and in large numbers for training purposes. 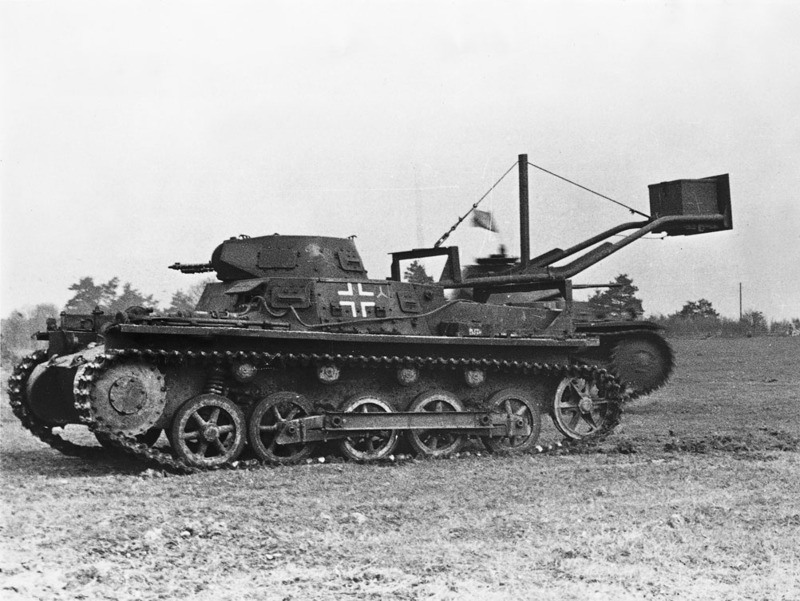 The Krupp design (the L.K.A.1) was selected as the first production model in 1934, eventually becoming the Panzer IA. The earliest versions had open-top hulls, no turrets and were designated as agricultural tractors to disguise their true purpose. The layout comprised a rear-mounted engine with the transmission led forward to front-driving sprockets. The crew compartment was in the centre of the vehicle, with the driver on the left. The turret, armed with two machine guns, was off-set to the right on the roof of the hull. Suspension consisted of independently sprung front road wheels with the remaining wheels in pairs on leaf springs linked by a girder for extra rigidity. Production of the Panzer IA ran to 500 vehicles, with nearly 2000 of the B variant being produced. In 1936 both types were battle-tested during the Spanish Civil War. It was soon discovered that the absence of an antitank gun and the two-man turret were major disadvantages. By 1939, insufficient numbers of the more powerful Panzer II and Panzer III had been built, and so the Panzer I saw service in Poland in 1939 and France in 1940. Despite its obsolescence, a few Panzer Is saw service during the invasion of Russia in 1941.